Get your reading glasses on folks, you're going to need them! 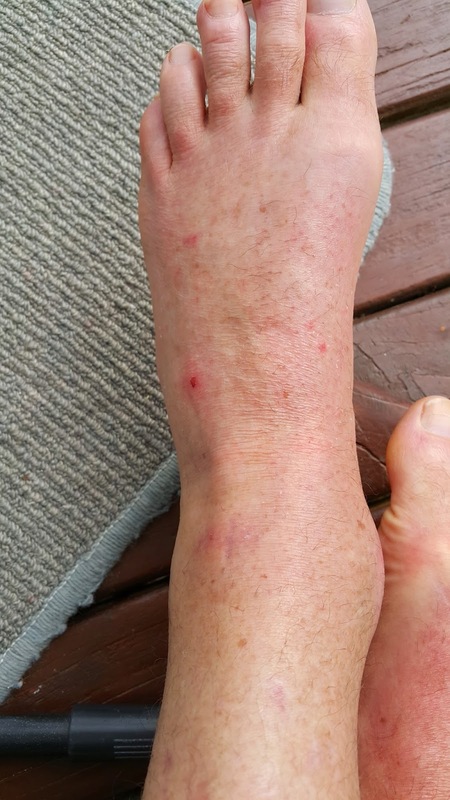 Seven weeks ago my ankle was sliced and diced with enough metal and screws inserted to hold down a Wellington roof! One of my concerns was excessive scar formation, not just to the skin, but to the tissues such as the ligaments and tendons. Scar is necessary for knitting together damaged structures and providing a scaffold for healthy new tissue to grow. Scar formation is essential; but there is a Goldilocks zone - not to much and not too little - just right! Too much and you end up with thickened, ugly tissue that has ongoing strictures and adhesions that limit function. 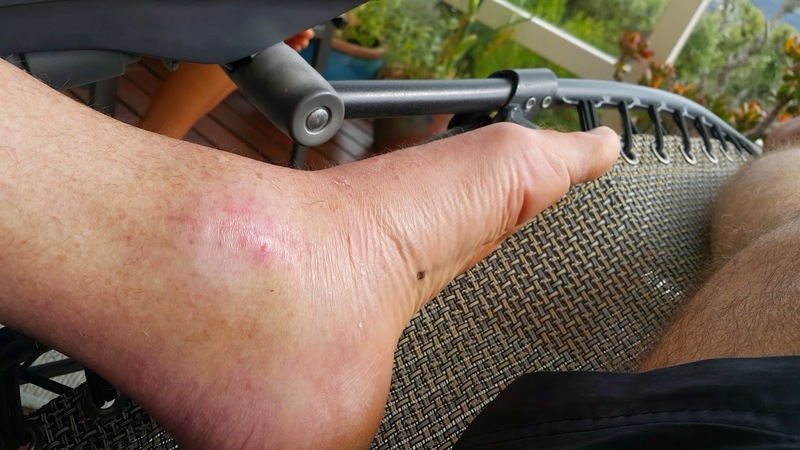 Scar tissue tends to shrink and harden over the year or so following injury and this can further bind down joints and tendons. Post-operation, if the tissues swell too much, and the wound may open a little, stretching the stitches. This is a frequent issue. The end result can be a broad, purple scar which can be quite unsightly. My main concerns about visible scar are not cosmetic but to ensure that I restore to 100% strength and function. This includes ensuring "healthy" scar and its timely removal once its job has been done. This might sound like a fanciful goal that we have no influence over; but we actually do. We know well the way scar is formed and modified over time and how this can be influenced by balancing minerals such as zinc and copper, the role of vitamin C in collagen formation and we now have systemic enzymes that soften scar and remove old scar. Amazing and exciting! I began a programme of supplementing with special nutraceuticals that help to regulate scar formation and for aiding the removal of old scar and replacement with healthy new tissue. I also took a number of things to control inflammation without interfering with healing. The other thing I did for several weeks while in the plaster cast is keep my leg elevated most of the time other than when hopping from A to B. Did it work? Here are some photos of the scarring at 6.5 weeks. You be the judge. 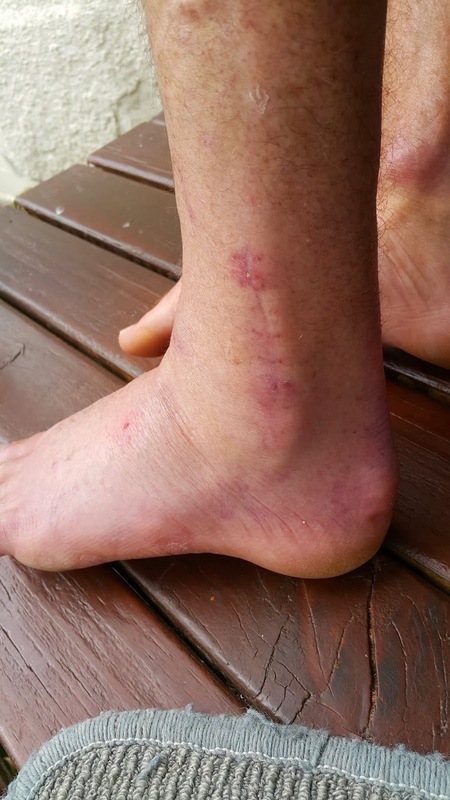 Spot the scar: Its a long slice along the medial malleolus of the tibia where the surgeon peeled the flesh back to insert some expensive hardware. Can you see the scar over the ankle joint where the surgeon opened me up to reduce the dislocation and to insert some hardware? Remind yourself that these are just 6 weeks old. 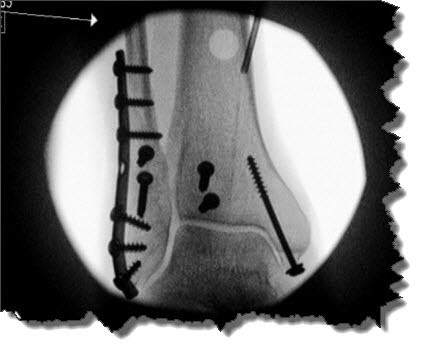 More visible than the other scars, this one is over where the most hardware was inserted to repair the shattered fibula. Not bad eh?